Racing’s biggest weekend of the year and two wild finishes. Dan Wheldon won the Indy 500 when he inherited the lead when rookie J.R. Hildebrand crashed on the final turn of the last lap. All Hildebrand had to do was get by a lapped car and head down the straightaway. He couldn’t. He slammed into the fourth turn wall while Wheldon zoomed by him to cross the finish line first while Hildebrand limped to a second place finish. What was interesting was that as soon as Hildebrand crashed the caution light came out and Hildebrand’s team owner considered challenging the results, arguing Wheldon passed Hildebrand during the caution while the field was frozen, but decided against it. Danica Patrick had the lead late in the race but had to pit with 10 laps to go. She finished 10th in what might be her final Indy 500race. Dario Franchitti, who won last year’s Indy 500 dominated most of the race but ended up finishing 12th. Then in NASCAR’s longest race of the year Dale Earnhardt, Junior looked like he was finally going to break his long winless streak. He grabbed a big lead in a green, white, checkered finish. All He had to do was get around the fourth turn and cross the finish line. But sure enough down the final straightaway he started slowing down. 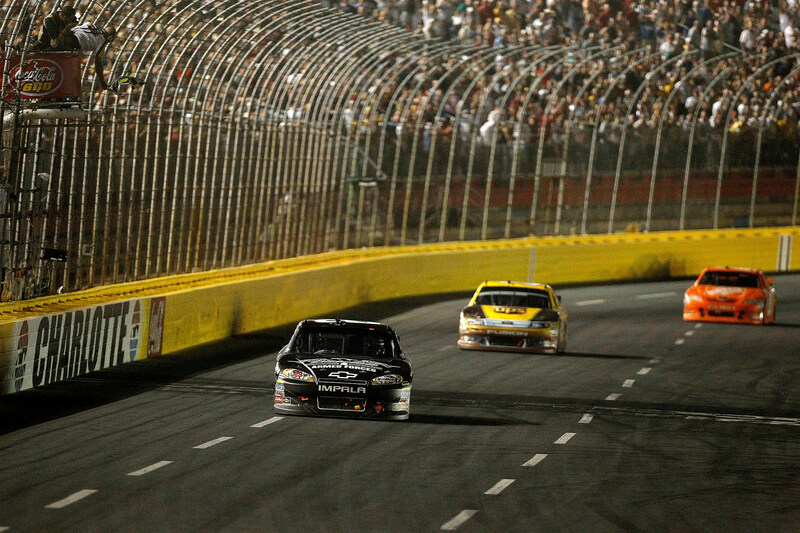 He was out of gas and Kevin Harvick flew by him to win the Coca Cola 600. For Harvick it was his third win of the season – 17th of his career. For Earnhardt, it extends his winless streak to 104 races. He coasted home in seventh place. David Ragan finished a career-best second, while Joey Logano, Kurt Busch and A.J. Allmendinger completed the top-five.